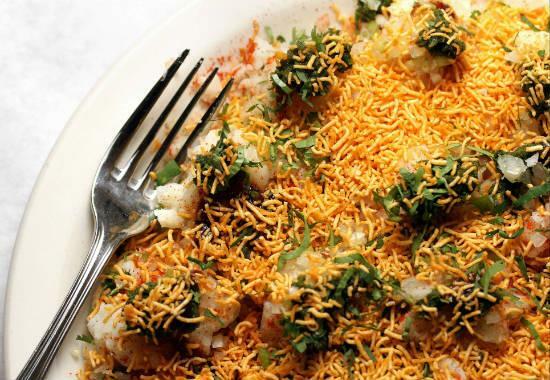 A delicious and popular street food (chaat) item from Mumbai. Puri’s stuffed with a potato mixture and topped up with chutnies, sev and onions. 1. Add the potatoes and mango to a large bowl. 2. Sprinkle some salt and chilli powder. 4. Arrange some of the puris on a plate. 5. 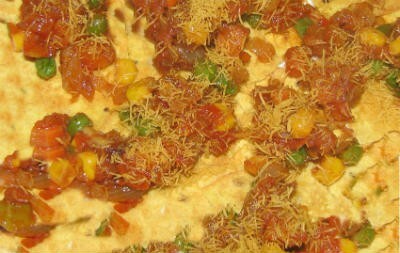 Make a small hole in the puris and add some of the potato mixture to each puri. 6. Sprinkle some onions on top. 7. Add some of the mint coriander chutney and garlic chilli chutney to each puri. 8. 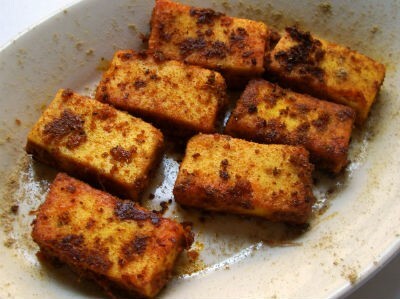 Sprinkle sev and chaat masala powder on top. 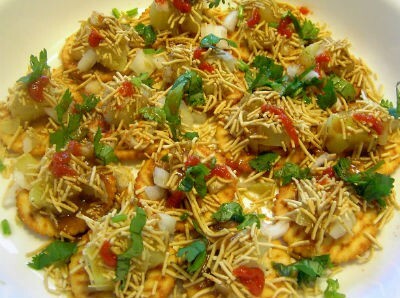 Feel free to comment or share your thoughts on this Sev Batata Puri Recipe from Awesome Cuisine.